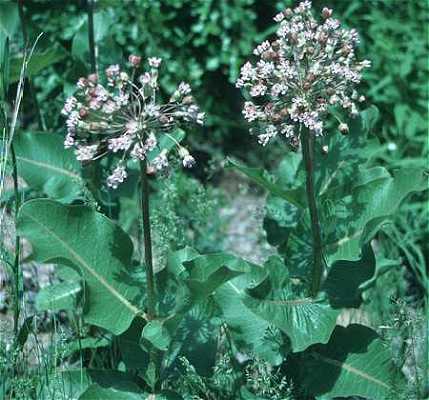 Asclepias amplexicaulis. Emmet J. Judziewicz Robert W. Freckmann Herbarium. 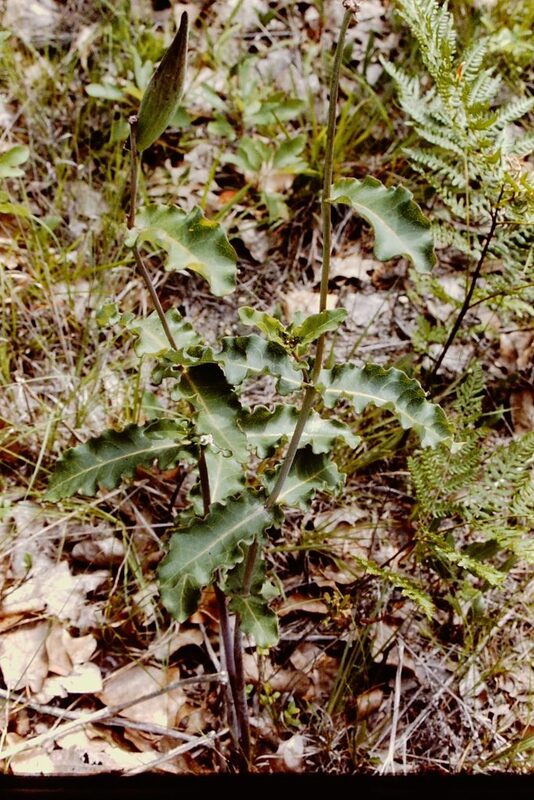 University of Wisconsin at Stevens point.wisplants.uwsp.edu (Accessed 12/2014). Asclepias amplexicaulis is a perennial herb from a rhizome, to 80 cm tall, sap milky, plant usually pale, waxy-green (glaucous). Leaves opposite, oval to broadly oblong, 7-15 cm long, tip blunt, base usually lobed, clasping stem, margin often wavy. Flowers greenish-purple and pinkish, radially symmetrical (regular) to 1.8 cm long (see A. syriaca); inflorescence, terminal, umbrella-shaped, on a stalk 10-30 cm long, flowers numerous; May-July. Fruit dry, hollow pods, slender, elongate 10-13 cm long, erect on bent stalks; splitting open to release plumed seeds, dispersed by wind. Habitat: Dry open habitats, sandy soil.